Entourage has been around for some years now, and some people have chosen it to be their preferred email client. It’s easy, straightforward, and beautifully designed. Just the way things ought to be. Migrating your emails into another software or OS, though, it’s not as pretty. Not even close. Entourage exports its mail archives into a .rge file format, which is usually used to migrate the mails between different Entourage clients on different Macs. But what if you wanted to -or had to- migrate your mails into a Windows PC with Outlook in it? Outlook doesn’t recognize .rge files, but it does work with its native mail archive file with extension, .pst. Hence our, (almost), magic solution: Entourage to PST Converter. Yeah, well, we may not be geniuses at crafting names, but we are at developing email migration software. All those .rge files can be converted into .pst ones in no time with Entourage to PST Converter. Let our software do the job, and migrate all your mail information from one client or OS to another. Double-byte characters, (such as the chinese and japanese ones), and Unicode content are hard to manage. Foreign languages jump in the pack too. Our software can deal with them all without sweat. All those valuable attachments on your mails could get lost with other products — not with ours. Entourage to PST Converter holds all your attached documents really tight. Fear no more. Messages inside messages, replies, hierarchies, nesting… sounds complex, right? It is. Making it clear is as simple as keeping it all in place. Our product maintains your mail hierarchy and nesting intact. Sounds good? It’s even better when you try it for yourself. We put a free trial for you below, so… check it out! What are the limitations of Entourage to PST Converter Trial Version ? It’s a fully functional copy of the app and lets you experience the Entourage to PST conversion process first hand. Only limitation is while exporting the converted data, the app exports only 10 mails each folder. I am a Entourage user on Mac moving to PC, will the conversion process be completed on my Mac? You can export the Entourage mail archive in .rge file format and move them using a USB drive. 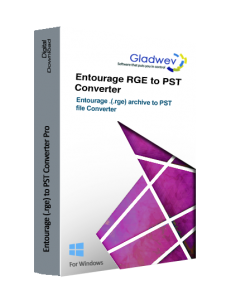 You can easily perform the conversion and add the output pst file converted from Entourage PST conversion tool on your PC. Do I need to Wait for the Physical product to be shipped to start with Mail conversion process ? No, not at all, our software is a Digital Download as we care for mother earth, the software can be downloaded instantly. You will receive a License key on your email address specified while placing the order with in 15 minutes. You are all set to proceed with conversion, after Activating your Thunderbird to PST Converter license.